The rehearsal dinner marks the beginning of your celebration and Terrace 16 can create a truly memorable evening. Located in the heart of downtown Chicago, we promise an unforgettable fine dining experience matched by exceptional city views from the 30-foot floor-to-ceiling windows that frame our vistas of Lake Michigan, the Chicago River, and the Wrigley Clock Tower. 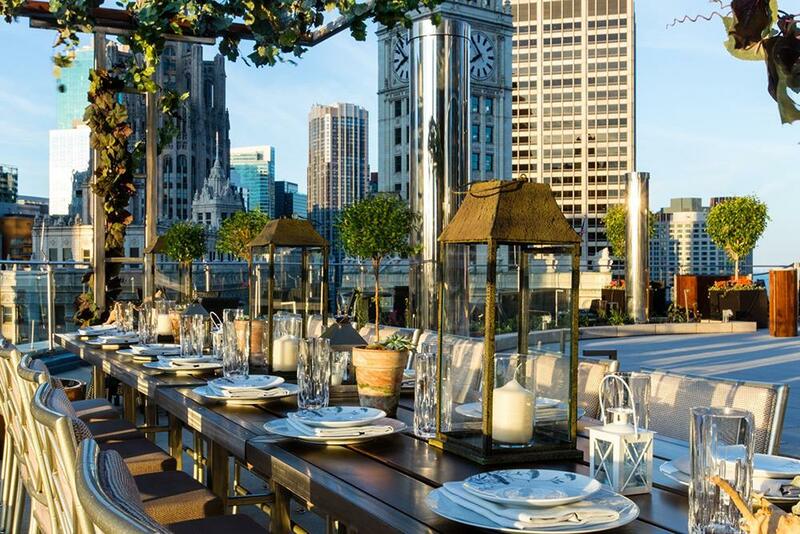 Our private dining rooms and outdoor patio offers stunning views of the city matched only by the exceptional cuisine by Michelin Awarded Chef, Nick Dostal.